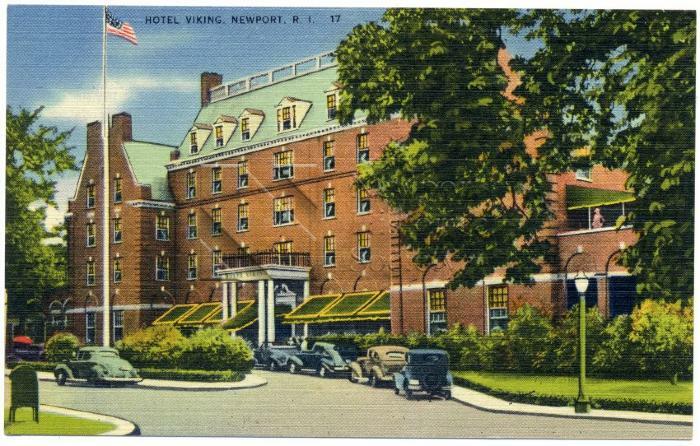 A linen-type color postcard depicting the entrance facade of the Hotel Viking. Several cars are seen parked on the entrance drive. Green and yellow awnings cover windows on the first floor.